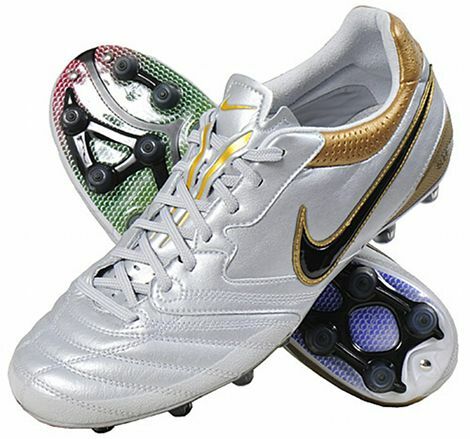 Despite not being available on European or America shores, one of the most talked-about boots within the Footy-Boots.com community is the Nike Super Ligera II. 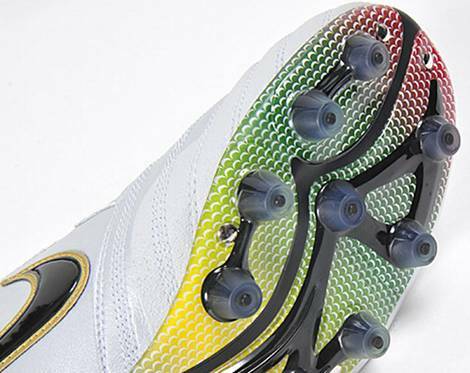 An Asia-exclusive cleat, we thought we’d show it some love with this extraordinary White / Gold / Rainbow colourway. After the original Super Ligera achieved something of a ‘cult status’ amongst boot fans in the Western world, we’ve always kept one eye on the Far East to see what this Tiempo-esque boot was up to in terms of colourways. Earlier this year, we featured the limited edition Pink colourway as part of our ‘2012: Year of the Pink Boots‘ piece, but we thought these beauties deserved a piece all of their own. Whilst we’ve seen Nike happily experiment with how to use colours on their footwear (case in point: the new Clash Collection) we haven’t see them create such a bold soleplate design as seen here in a long time. Using koi carp-like scales, Nike have created a rainbow effect that runs across the whole soleplate, and teamed it with a super-classy White / Gold upper to create a standout effect. Whilst we’d certainly love to see Nike bring the rainbow-soled Nike Super Ligera II as a limited release to the UK and US, we certainly doubt we’ll see these specially-crafted cleats any time soon. 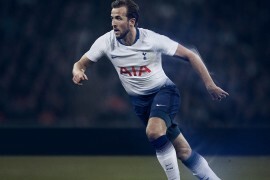 Designed with special stud system and reinforced toe area, the Super Ligera II are perfect for the hard-ground and turf pitches used in Japan – so Nike have no reason to make them available over here, with four world-class boots already on offer. Let us know in the comments, or hit up the boot-o-meter! Does anyone have a link to allow me to import them from Japan/Asia? 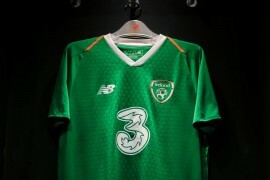 I believe they SL2 will be sold in the USA this fall…..
Nike have missed a trick here. These are the kind of boots that would be ideal for us weekend warriors who play half our seasons on bone dry pitches. My first pair of Nike cleats was a pair of the first Super Ligeras that were released in the US (They are black and gold). I still have them as my back-up pair. They are definitely fantastic cleats, but I never really liked the HG studs. The upper, however, is fantastic and the lightweight feel is great. where or how do i buy these boots!? ive been looking everywhere and i can only find the red version. i would like these ones or the gold ones with black trim. help anyone?